If you are like most people with carpeting in your home, you probably think that regular vacuuming and spot treating stains is enough to maintain your carpet. While vacuuming should be part of routine carpet maintenance, it is often not enough to thoroughly clean your carpets. You may also be surprised to learn that many carpet warranties require regularly scheduled professional carpet cleanings. Still not convinced? Here are five more reasons to have your carpets cleaned by a professional carpet cleaning company. 1) Vacuuming isn’t enough. 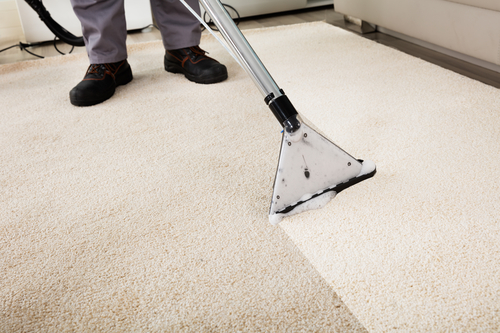 We already mentioned that vacuuming really isn’t enough to get your carpets thoroughly cleaned. Steam is the most effective method for lifting dust, allergens, pollen, pet dander, and other particles trapped in your carpet. Vacuuming can certainly put a dent in the accumulation in your carpet, but if you want to keep your home truly dust and allergen free, steam cleaning is the way to go. 2) You shouldn’t steam clean carpets yourself. Only steam can effectively lift all that dust and other fine particulate matter from your carpet. While there are non-professional versions of steam cleaners available they pale in comparison with professional-grade versions. Only a professional-grade machine can truly remove all the moisture that a thorough steam cleaning leaves. 3) Moisture can cause mold. When you don’t hire a professional carpet cleaning company, you may not be getting all of the moisture out of your carpets. The trapped moisture can lead to mold growth underneath your carpets and turn your home into an incubator for mold growth. 4) Professionals know what products to use on your carpet You wouldn’t bring your beloved pet to a mechanic for check-ups, and you shouldn’t use just any product on your carpet. Every carpet is different – from the fibres used to the pile – and requires different levels of care and the use of different products. Professional carpet cleaners have the experience and know-how to maintain your carpet. 5) Cleaning your carpet prolongs its life. We tend to take the flooring in our homes for granted. Leaving dust, dander, and allergens in your carpet can actually wear down the fibres and shorten the life of your carpet – requiring you to replace or repair it much sooner than you expected. Furthermore, if you weren’t having your carpets regularly professionally cleaned your warranty may no longer be valid. You can keep your carpet for a lifetime if you keep it clean. Hiring your local Toronto carpet cleaning service for regular routine maintenance will keep your carpet clean, reduce allergens, and improve the air quality in your home. 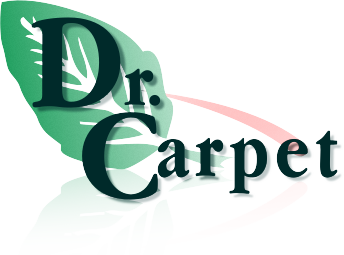 To find out more information about carpet cleaning services, carpet repairs, area rug cleaning, and other related services, please call Dr. Carpet at 647.800.5199 today! If you’re an allergy sufferer, have asthma, or have family members with these conditions, you have probably been advised to get rid of the carpet in your home. Carpet traps allergens and it was thought that these allergens would worsen allergy and asthma symptoms. It turns out that what we’ve been told may actually be the opposite of what is good for you. According to the United States Environmental Protection Agency, indoor air pollutants were two-to-five times greater than outdoor pollutants. Considering that Canadians spend about 90% of their time indoors, this can lead to serious exposure to pollution! A 2005 study done by the German Allergy and Asthma Society found that, contrary to popular belief, bare floors actually increase exposure to fine particulate matter that can exacerbate allergy and asthma symptoms. The use of wall-to-wall carpeting actually reduced the exposure. The prevailing theory that carpeting holds allergens such as dust and dander is actually a good thing. Bare floors don’t trap dust, dander, and other particulates and they are free to move around through the air. When the air is stirred by a breeze, people walking through the room, or a gust from an air vent, all of allergens get blown into the air where they are breathed in. Carpeting, on the other hand, traps allergens and does not release them into the air. The air quality in carpeted areas is actually better than in areas with bare floors. Of course, you can’t just let your carpeting do all the hard work for you. 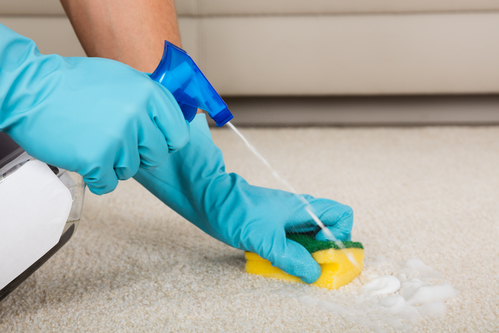 In addition to regularly changing your home’s air filters and cleaning your upholstered furniture, proper carpet maintenance such as vacuuming and regular professional carpet cleaning, is key to removing trapped allergens. While studies have shown that carpeting can actually reduce allergy and asthma symptoms, it’s always the best to work with your healthcare provider to determine the best course of action for you and your family. To find out more about professional carpet cleaning services, upholstery cleaning, and other related services, call Dr. Carpet at 647.800.5199 today. With so many flooring options available to folks looking to upgrade their living space, it can be a challenge to decide what to actually put on your floor. If you are considering replacing your carpet with wood or tile, or are considering other flooring options, maybe it’s time to reconsider carpet. 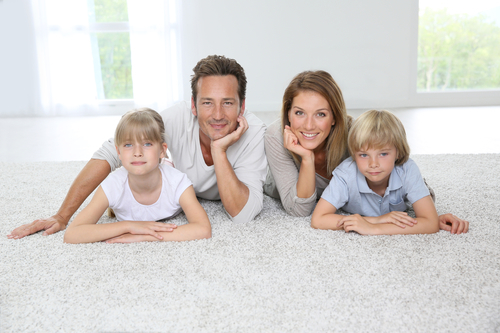 Here are seven great reasons to consider carpeting for your home. 1. Comfort. If you think you’ll be spending any time on your floor, carpeting is a great choice. Hard surfaces, like wood or tile, are just that – hard. Because tile and wood flooring are inflexible, every time you walk across them your body is getting impacted. Carpeting is a great option for families with little ones who are learning to crawl or walk, too. 2. Warmth. Winter in Toronto gets cold. Keeping your home warm through long, cold winter months is easier when you have the insulating benefits of carpet. According to a study by the Georgia Technology School of Textile Engineering, carpeting provides a higher insulation factor1. 3. Quiet. Have you ever noticed how loud it can be in rooms with hard floors? That’s because hard surfaces, like tile and wood floors, can’t absorb sound so it bounces around. Carpet is naturally more absorbent and makes the space it’s in much quieter. 4. Safety. You already know that carpet is more absorbent, but it can make rooms safer than tile or other hard surfaces. Carpets can provide a soft landing for little ones who are more accident prone, but it can also prevent accidents from happening on places like stairs. Carefully chosen stair carpeting can prevent slips and falls – especially in homes with folks who may have mobility issues. 5. Health. If you have allergies or asthma, you have probably been told to get rid of all the carpeting in your home. A 2005 study done by the German Allergy and Asthma society found that rooms with bare floors, “the risk of more airborne fine particles rises, while the use of wall-to-wall carpeting minimizes the risk.2” It’s actually the fact that carpet holds allergens that gives carpet the advantage. Just make sure to have a professional Toronto carpet cleaning company come in to professionally clean your carpets at least twice a year – if not more frequently. 6. Style. Carpet can truly transform a room. With so many options and styles to choose from, you can change the entire look and feel of a room just with the addition of carpet. 7. Cost. Generally speaking, carpet costs less than hard surfaces like tile or hardwood. Some tile types and hardwood require special cleaning products, which can be costly over the long run. Carpet is usually less expensive to maintain – as long as you take care of it. Why Does That Stain Keep Reappearing on My Carpet?